NPR’s Morning Edition has a story on the Common Core Assessments here that praises the Common Core for forcing states to be truthful about the real abilities of their students. The piece notes that on the Tennessee state tests ninety percent of students tested as proficient in reading, while on the national NAEP (National Assessment of Educational Progress) tests, only twenty-eight percent did. This, of course, begs the question of why we need the federal Common Core tests when we already have the NAEP tests. Here’s what I learned in thirty-seven years of teaching high school English: the standards demanded under the Common Core are standards that currently only the avid readers would reach. The kinds of literacy skills the common core requires are skills only developed through wide, voracious reading. 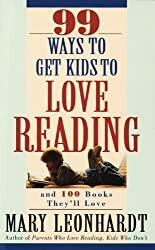 Which gives us the catch-22: The very activities that develop high-level literacy skills are the very activities that are discouraged by the test demanding them. Schools are awash now in curriculum that requires students to pick apart, in excruciating detail, pieces of literature that are boring to them in the first place. 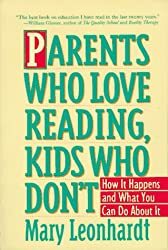 Really, it’s hard to think of a better way to discourage avid reading among children. Children acquire oral language through having a multitude of people speaking to them and listening to them throughout the day. Little kids fall in love with oral language, often talking themselves to sleep at night, and continuing, without a letup, first thing in the morning. That’s what needs to happen with reading. I taught high school English for 37 years--in public, private, and parochial schools across the country.. During that time I wrote a number of books about literacy that Crown published. They were well-received but some eventually went out of print. I've taken the opportunity that e-publishing offers to get the copyrights back from Crown and publish them myself. I'm also adding some new titles. I was going to stay peacefully retired but this whole Common Core issue is making me crazy, as it is driving the very curriculum that makes kids hate reading.